At his first town hall stop in Hamel Wednesday morning, Paulsen pointed out that he is not aligned with President Donald Trump on everything he says or does, including the president’s views on immigrants. “When comments were made about African nations not being that same standard or having a moral clarity, I fundamentally said that was wrong and the president should apologize,” Paulsen said. There were plenty of subjects that came up at the Hamel Community Center, including global warming, Russian interference in the 2016 Presidential election, and taxes. But the hot button issue was gun control. That topic came up often. Paulsen says he thinks it’s okay to ban bump stocks, which allows semi-automatic firearms to fire shots in rapid succession simulating a fully-automatic firearm. “When you have a firearm that is illegal, why shouldn’t the device that makes that firearm do what’s illegal, why should that be legal as well?” Paulsen said to crowd. To attend the town hall meetings, constituents had to sign up in advance. Those who got to attend were chosen at random. 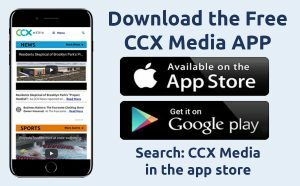 People in the crowd, including Sarah Eigenmann of Plymouth, shared their views with CCX News. Paulsen represents Minnesota’s Third Congressional District, which includes Brooklyn Park, Maple Grove and Plymouth. He is running for re-election against DFL candidate Dean Phillips.